The Trump Administration is working to settle a series of lawsuits attacking the legality of its “zero-tolerance” immigration policies. As part of the settlement effort, the administration has agreed to review the asylum applications of almost 1,000 immigrant parents and children who were separated at the border. 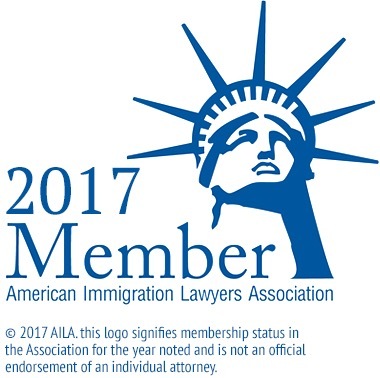 Continue reading for more about the latest developments in the administration’s policies, and reach out to a qualified immigration attorney with any additional questions. According to court documents released last week, the Trump administration agreed in proposed settlement documents to reconsider asylum applications for immigrant families separated at the border. The settlement is part of three lawsuits brought by the American Civil Liberties Union, Muslim Advocates and others. Nearly 1,000 immigrants may qualify for reopened cases, including people whose petitions were previously denied. The settlement awaits the approval of U.S. District Judge Dana Sabraw in San Diego. The families had applied for asylum claiming “credible fear of persecution or torture” if they returned to their home countries. The settlement will permit the applicants to submit additional evidence and testimony to prove their claims of “credible fear.” Attorney General Jeff Sessions recently tightened the “credible fear” standard by cutting domestic and gang violence from the permissible reasons for seeking asylum, which have been common reasons for Central Americans to seek asylum. As reported by Reuters, the settlement may also allow parents who were already deported without their children to apply to return to the United States, according to the ACLU. The move comes after the administration’s widely-condemned practice of separating families and detaining thousands of children, mainly from Guatemala, Honduras, and El Salvador. Though a judge in June ordered the administration to reunite the families, the process is still underway. The latest decision to reconsider the applications comes after the administration was dealt several blows in related lawsuits. In June, a California federal court ordered the administration to reconsider the asylum requests of 90 Iranians individually after having issuing a blanket denial to all while the Iranians were stuck in Vienna. The court stated that the administration has to follow the procedure set by Congress to evaluate applications individually. If you or a loved one are facing deportation or have questions or concerns about your citizenship status, contact the knowledgeable and compassionate Queens immigration lawyers at Gladstein & Messinger at 718-793-7800 or toll-free at 800-339-0535.